Sharlot Bott has been a champion dancer for over twenty years and continues today as one of the longest-running champion competitors on the circuit. She continues to achieve top awards and is the female other female dancers aspire to be. With her husband and dance partner, Wayne Bott, Sharlot maintains a full time dance business, (www.wayneandsharlot.com). They travel throughout the U. S., teaching, competing, judging, and choreographing dance. Inspired by the movie “Saturday Night Fever”, Sharlot studied and competed in the Hustle circuit in the late seventies. She began dancing Swing in 1982, when introduced to West Coast Swing by a co-worker. While maintaining a full-time career with Southern California Edison, Sharlot began training at Sundance Studios in Downey, California. She possessed a natural talent for body movement and musical interpretation, as well as an athletic ability. To refine her natural talent, she trained with top coaches, teachers, and mentors in dance and aerials, while studying Jazz and Ballet. Sharlot thanks and recognizes her social dance partner Randy Albers (1984 to 1992), who gave her inspiration and allowed her to release her creativity to its maximum potential. Almost every summer night you would find them dancing along side, Jack and Annie, Hal and Marge, and Tony and Natalie at Disneyland’s Carnation Pavilion, where they all inspired the public with their interpretive live performances to Big Band music. She won the U.S. Open Swing Dance Championships Showcase division with Jim Fisk in 1985; and she competed and performed with Lance Shermoen from 1986 to 1991, winning the U.S. Open Swing Dance Championship in Showcase Division in 1986 and 1990. (They were in the “top-four” finalists in the Showcase Division from 1986 thru 1991.) Their exciting athletic routines with aerials and fast dancing at Swing events, county clubs, corporate parties, studios, retirement communities, charity events, the “Feather Awards”, in parades and on cruise ships helped to promote the art of Swing Dancing. 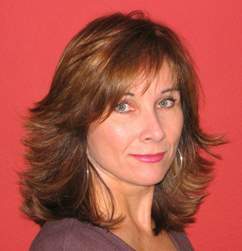 Sharlot studied the elements of teaching with Skippy Blair and received her certification through the Golden State Dance Teachers Association, GSDTA in 1992. That same year, she and Wayne Bott began their dance career as partners. Competing with Wayne and individually, Sharlot won numerous National Dance Championships in Classic, Strictly Swing, and Champion Jack and Jill categories from the early 90’s thru today. In 1993, as one of the first to travel to New York, they took West Coast Swing to the East Coast Swing community. Also, adding Atlanta to their travels, they continued to contribute to the merging of East Coast Swing, Shag, and West Coast Swing styles. During this decade, Wayne and Sharlot have trained, mentored, coached, and influenced the stars of today. Many of them continue to perform and teach Wayne and Sharlot’s creative patterns and unique Swing “Stylings”. In 2000, Wayne and Sharlot became investors in the U.S. Open Swing Dance Championships. Sharlot has served on the Board of Directors since that time, helping to run this prestigious event and serving to uphold its proud integrity and tradition during a challenging five-year transition period.